Everyone loves ‘Bingo the Puppy’™. 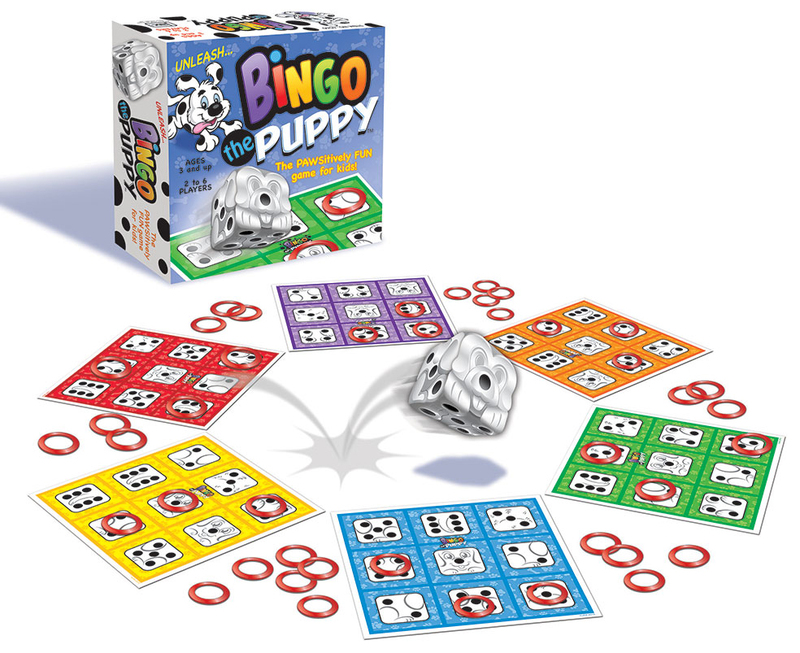 Unleash this playful pup and watch him bounce, tumble & roll over! Then match his ‘spots’ to a space on your game board and place a chip there. Be the first player with three chips in a row and you win!